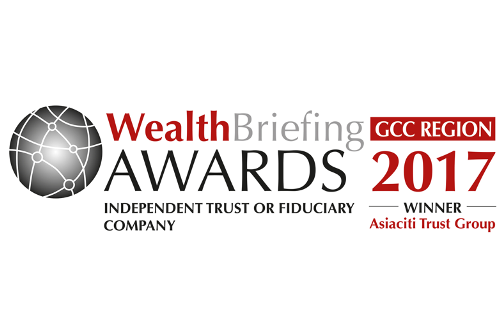 Asiaciti Trust Group has been awarded the Best Independent Trust or Fiduciary Company at the WealthBriefing GCC Region Awards 2017. The judges cited “It was the view of our judges that their winner’s team of highly experienced advisors provide an impressive level of fiduciary service in multiple tax jurisdictions not only in the GCC, but also in Asia Pacific.”. The award is a testament to the hard work that the team at Asiaciti Trust Group has put in over the last 12 months committing to deliver the highest level of services to its clients.